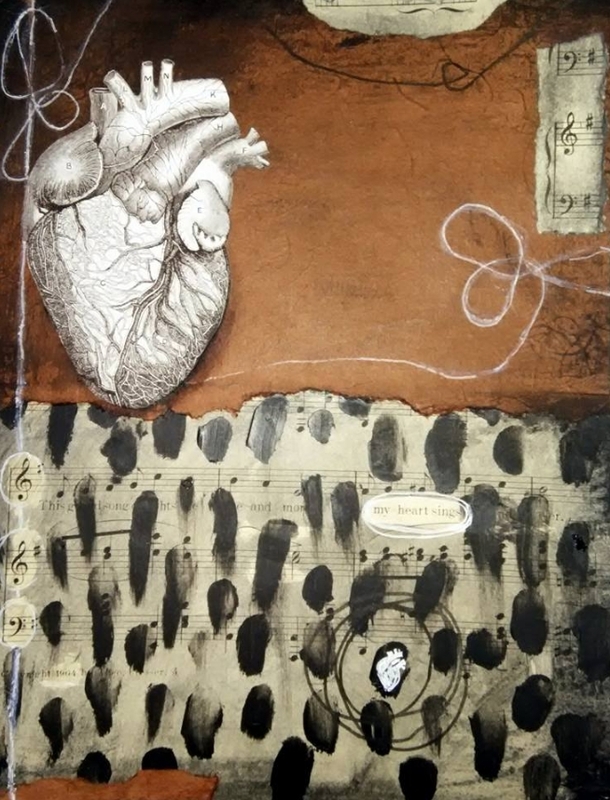 this mixed media anatomical collage measures 8x10 and is on thick watercolor paper with recycled paper backing for rigidity. antiquesheet music from 1901, handmade paper, anatomical heart illustration, acrylic, white ink. click the image to the right for enlarged version. this sold before i was able to properly photograph it, my apologies.